Canon’s EOS 7D is the company’s latest semi-pro DSLR, featuring 18 Megapixels, HD video and 8fps continuous shooting. 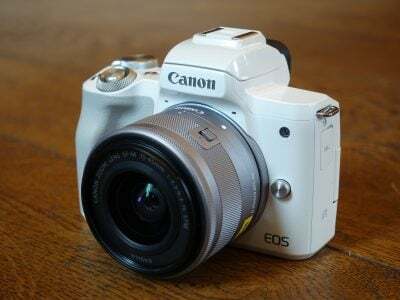 Announced in September 2009, it represents a new product category for Canon, positioned between the existing EOS 50D and EOS 5D Mark II models. 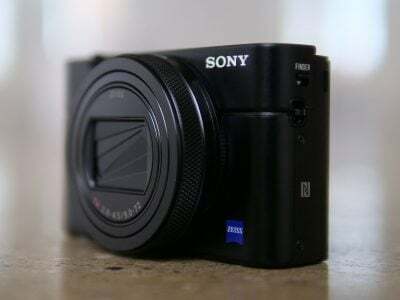 As such it doesn’t replace an existing model and the EOS 50D will continue to be available. Despite having a single digit name, the 7D does not feature a full-frame sensor. Instead it sticks with the smaller APS-C sized sensor of the consumer DSLR ranges, but complements it with a wealth of professional features that go beyond the existing EOS 50D and in some respects even the EOS 5D Mark II. As such it’s Canon’s best-featured APS-C DSLR to date, and pitched directly against Nikon’s D300s. Starting with the headline specification, the EOS 7D is equipped with a brand new 18 Megapixel CMOS sensor, compared to 12.3 on the D300 and 15.1 on the EOS 50D. This makes it the highest pixel density of any Canon DSLR to date, because even though the 5D Mark II has a slightly higher pixel-count, it’s more than compensated by its physically larger full-frame sensor. As such there’s understandably concerns over noise levels on the EOS 7D, and you can see for yourself how it compares directly against the EOS 50D, 5D Mark II and Nikon D300s in our results pages. The earlier EOS 50D was already a quick operator with a continuous shooting speed of 6.3fps, but the EOS 7D improves on this with a top speed of 8fps. The EOS 7D also becomes Canon’s third DSLR to offer HD video recording, and the company has clearly been listening to customer feedback. As such the EOS 7D enjoys full manual control over exposures, along with the choice of filming resolutions and, for the first time, a choice of frame rates too. You can film at 1920×1080, 1280×720 or 640×480 pixels. The Full HD 1080 mode can be set to record at 30, 25 or 24fps, while the 720 and VGA modes can record at 60 or 50fps. 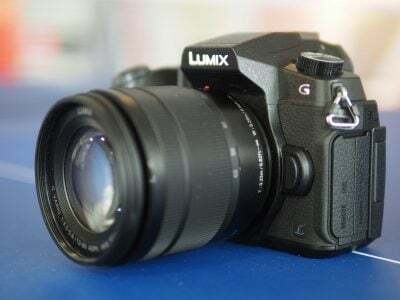 The inclusion of a 24fps option at 1920×1080 pixels will delight independent film makers who were frustrated with the fixed 30fps speed of the EOS 5D Mark II, while owners in PAL regions will be pleased to find a 25fps option which matches their video standards. There’s also a stereo mini-jack for connecting an external microphone. Canon’s also made some key improvements to its viewfinder experience, with the new EOS 7D boasting 100% coverage with 1.0x magnification. Canon has also finally implemented on-demand LCD graphics in its viewfinder, allowing it to display a grid without the need for an optional focusing screen. Looking through the viewfinder, you’ll also notice an upgrade from Canon’s usual 9-point AF system to a brand new one with 19-points. The higher density of AF points has also allowed Canon to offer some innovative AF modes including zoning which allows you to manually select one of five clusters of AF points rather than single ones at a time. With a preferred zone selected, the EOS 7D will then attempt to focus on the closest subject in that group. Canon’s also upgraded its metering system using a new 63-zone Focus Colour Luminance metering system (iCFL for short) with dual layers allowing it to take colour information into account. The 3in VGA screen has also been improved to better combat glare, while the popup flash upgraded to include a Speedlite transmitter, which allows the EOS 7D to remote control other Canon flashguns without any additional accessories. Completing the specification are a tough body which includes flash sync and HDMI ports, and a powerful software bundle which allows full remote control of the camera from a PC or Mac. It all represents a significant upgrade over the EOS 50D and even improves on the 5D Mark II in many respects. Much of the inspiration for the new features, from fast shooting to colour-based metering and on-demand viewfinder graphics, comes from Nikon, and for the first time at this level, Canon is going head-to-head with its arch rival rather than slotting its models in-between. The big question of course is how does Canon’s latest compare against the D300s, not to mention the EOS 50D and 5D Mark II? To find out we’ve been using all four cameras side-by-side for several weeks, comparing not just their image quality, but also their movie modes, AF and continuous shooting performance, viewfinders, screens, build quality and handling. We’ve also expanded our results pages to include detailed comparisons of Real-life detail and High ISO Noise performance for both JPEG and RAW files. So read-on to discover which camera performs best in what respects, and ultimately which model will be best for you! As always, you can also check out the camera’s highlights in action in our HD video tour! We tested a final production EOS 7D running firmware 1.0.9, later upgraded to 1.1.0. Following our convention of testing cameras using their factory default settings unless otherwise stated, the EOS 7D was set to Large Fine JPEG plus RAW quality, Auto White Balance, Evaluative metering and the Standard Picture Style; unless otherwise stated, High ISO Noise Reduction and the Auto Lighting Optimiser were set to their default Standard settings, while Highlight Tone Priority was disabled. Note: we disabled Auto Lighting Optimizer for our high ISO noise tests, as this can artificially increase noise levels. Lens-based Image Stabilisation was enabled for all handheld shots and disabled for tripod-based tests. Many thanks to Queenstown Cameras for the loan of an additional EOS 5D Mark II during our tests with the EOS 7D. If you’re in Queenstown, New Zealand, and need any photographic equipment or prints, head on over to their store on Camp Street.